A delightful debut novel about a woman coming to terms with past disappointments and forging a bright new future-man and dog included. Noelle Ryan works as a veterinary technician at a New England animal shelter, helping pets find homes. If only it were as easy to find one for herself. After discovering she can't have children-and watching her marriage fall apart after a shocking revelation by her husband-she feels as sad and lost as the strays she rescues. She can't seem to get over her ex, Jay. Unfortunately, all Jay wants from her is a huge favor: serving as caretaker for his elderly mother, who blames Noelle for the breakup. While Jay heads off to Atlanta to live the life of a bachelor, Noelle is left only with her Great Dane, Zeke, to comfort her. But when a carefree musician named Jasper tugs at her heartstrings, giving her a second chance at life- and at love- Noelle comes to realize that home is truly where the heart is. 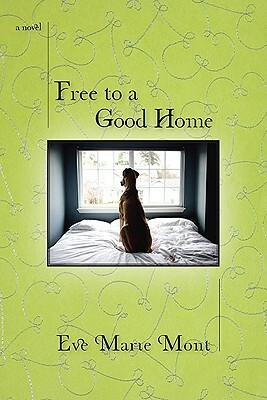 Dogs play a large role in the novel, particularly shelter dogs. What rewards can be gained by adopting an animal that has gone through difficult circumstances? Why do you think humans traditionally have had such close ties to their dogs and pets? What is it that pets provide us that sometimes our human counterparts do not? Many of the characters in the novel are searching for a sense of belonging or stability. What does the notion of home mean to each of them? What does it mean to you? Noelle has two very different maternal relationships, one with Margaret and on with her own mother. How do our relationships with our mothers both ground us and exasperate us? Why do you think the mother-child relationship is so complicated? Initially Jay does not want to consider placing his mother in a nursing home, asking Noelle to care for her instead. Would you agree to care for a former family member? What are some of the complexities of leaving a family member in someone else’s care? In the novel, Noelle comes to terms with her infertility. How does not having children, whether by choice or circumstance, affect one’s sense of self? Noelle makes assumptions about Jasper and almost lets her own insecurities sabotage their relationship. How much do our past relationships affect our ability to enter into new ones? What does the loss of a marriage do to a person’s faith in relationships? Jay and Noelle get married for perhaps the wrong reasons. Does it ever make sense to stay in a marriage just for companionship? Ultimately, Jay and his boyfriend move back to Massachusetts so they can get married and, eventually, adopt a child. How do you feel about gay couples marrying? How about adopting children? Debilitating diseases such as MS or ALS can take away an individual’s independence and sense of worth. What determines how people react to such losses? What do you see as the most important factors in responding to a disease with strength and grace?